During April, we are offering Amazon voucher rewards for publishing Case Studies and for publishing activities using Share. 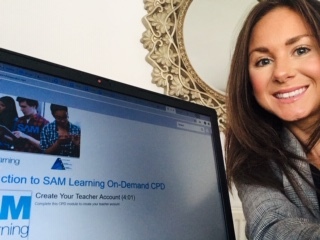 Teachers can earn an Amazon voucher by sending us a Case Study on how they are using SAM Learning to personalise learning in their school. For every case study we select, the teacher will receive a £50 Amazon voucher (limited to one case study per teacher). Example: Three-wave Intervention for Literacy and Numeracy Catch-up. – Which learners did you target? – What content did you use? Did you create any content? – Where and when did the learner(s) log in? – How did it save time compared to what you were doing before? – How did it improve the quality and/or personalisation of the learning? – What improvements did you see in learner engagement or enjoyment? – What improvements did you see in learner success? 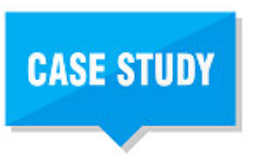 We may get back to you and request a video (easily recorded on a smartphone) explaining your case study further. Join the hundreds of teachers who earn Amazon vouchers by creating resources and publishing them to Share. Every teacher who publishes their first 5 activities to Share will receive a £20 Amazon voucher. Share content is available for free to all teachers in subscribing schools. It contains over 10,000 teacher-created resources. You can review this content and ‘pin’ it for use in your school. Share activities are only visible to your learners once they have been approved by you and ‘pinned’. 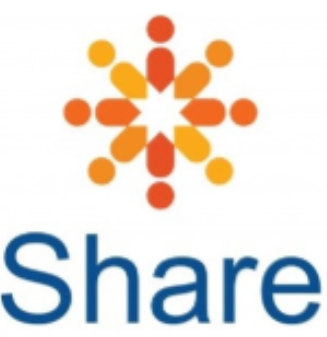 Share+ activities are selected by SAM Learning from among the Share content each month via a quality assurance process. The activities are edited, checked for copyright and some design elements added. They are then re-published as part of the main SAM Learning content. 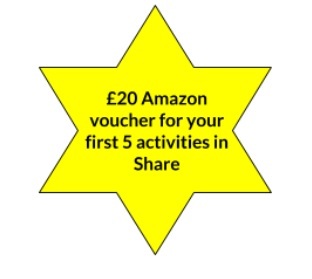 Any teacher who has their activities selected for Share+ will receive a £20 Amazon voucher as a thank you. If you require any guidance on creating activities for Share, you can find step-by-step instructions here. *Terms and Conditions for Targeted Activities: 1. Targeted activities must be published to Share during the relevant month; 2. All Targeted activities (individual and bundles) must use the suffix ‘TA’ at the end of the activity title, e.g. Language in Othello – TA; 3. Targeted activities must either be original, teacher-created content published to Share or personalised activities with at least 3 screens added or significantly changed; 4. Targeted activities must contain marks; 5. Targeted activities using free text screens must include a mark scheme that learners can use to self-mark (including examples where more than one answer is possible); 6. Targeted activities must be suitable for learners to complete independently and be relevant for the key stage and subject for which they are written; 7. Targeted activities should contain clear questions and instructions; 8. Targeted activities must contain enough content for a student to take a minimum of five minutes to complete; 9. SAM Learning reserves the right to withdraw/amend incentive schemes at any time; 10. 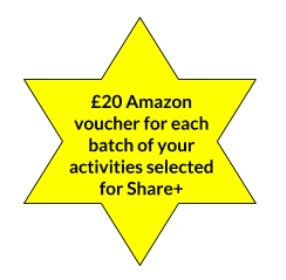 Rewards are capped at a maximum of £200 Amazon vouchers per teacher in any one calendar month. Teachers are encouraged to request targeted activities. Please let us know what content you would like to be added to Share by submitting a request here. Keep an eye out for new exciting rewards each month.